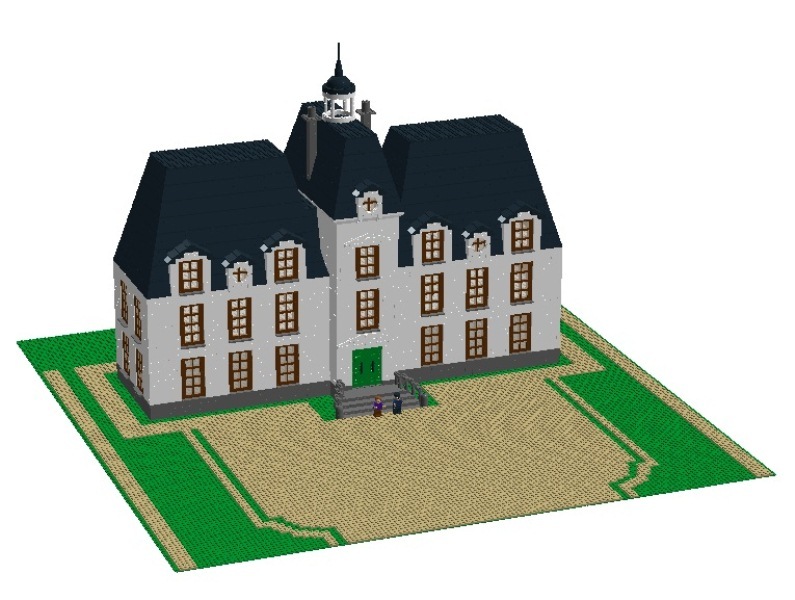 I'm not a very active member but I would like to share my current Lego project with you. It is a slowly growing layout of Hobbiton. 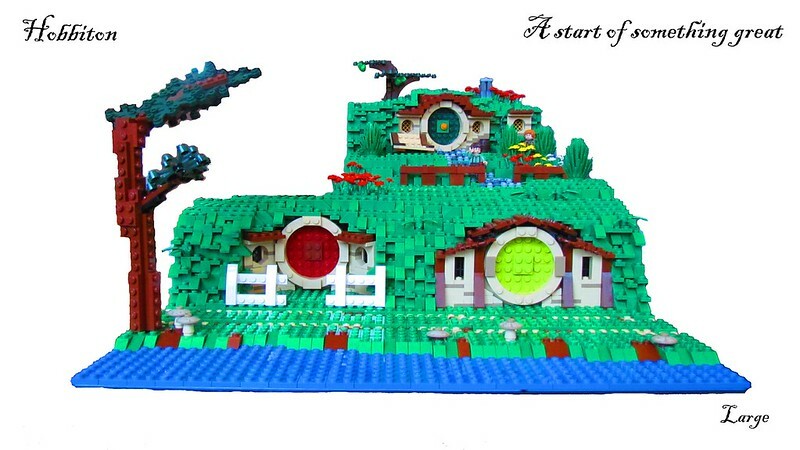 It all started with Bag End. I was very satisfied with this so I tried to keep it going and have started to turn this one Hobbithole into a layout. It is not my goal to recreate the entire film set but it does look like it. I am now in the process of deciding where to go with these two roads. Probably they will meet somewhere on the left and then continue as one road that crosses the Bywater Bridge. This bridge has the Sandyman's Mill on one side and The Green Dragon on the other. So I will have to build them as well. 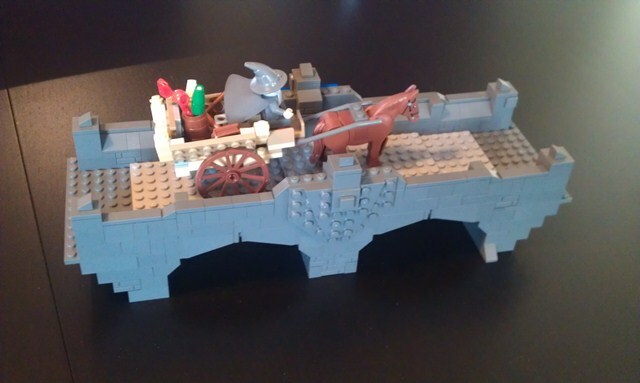 Check out more on my brickshelf. It looks already very promising, so keep it up! Very nice, I like how you've angled Bag End to the road. It gives it a very natural feel. Wow, this is cool! I might have to steal your window technique for mine! Wow! This is awesome! Are you going to do an interior? Don't know, i'might give it a try. That will take some mayor modifications of what I have now. 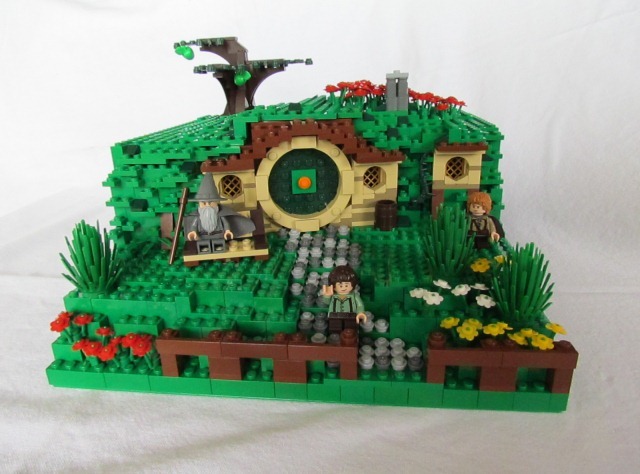 Very nice work, love how you angled Bag End. How does it stand up though? 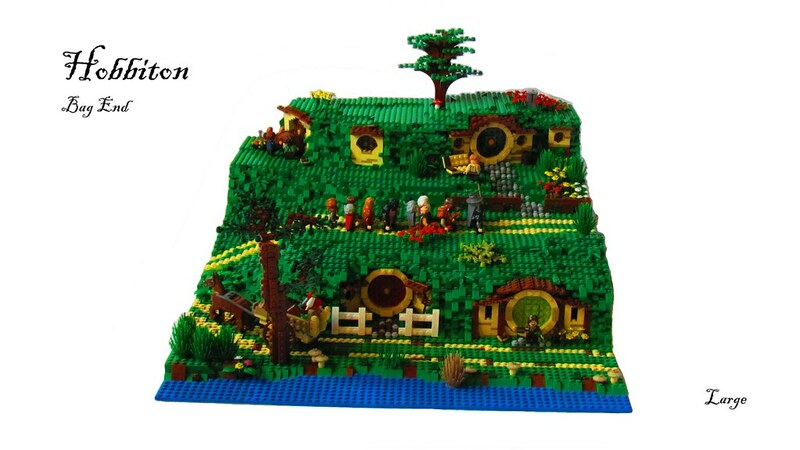 Thanks It is built in modules, the high road and Bag End are built on 16x16 plates and then lifted on a stacks of 10 2x2 bricks. 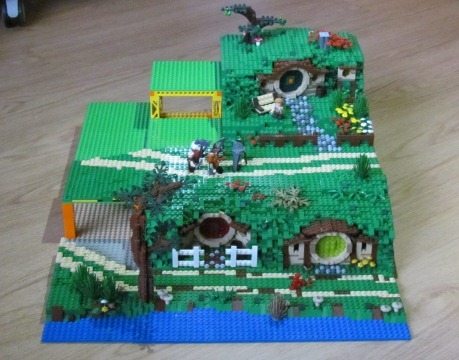 That's a really neat MOC. I like the scale and the whole set-up. It is very fitting for those Hobbitses. I considered doing something similar, but on an even smaller scale, just so I can incorporate more into it. Plus, I'm really into mini-building anymore. But I love how you did yours. I can't wait to see more. Keep up the great work. Im actually making my own one now!!! I thought the base plates didnt connect to each other????? A WIP image added some vegetation and continued building on the left side. Awesome Work, i know this topic has been inactive for about a month but its just so stunning! This WIP MOC looks excellent so far. It's nice to see a variety of different burrows. I hope to see the finished MOC soon. 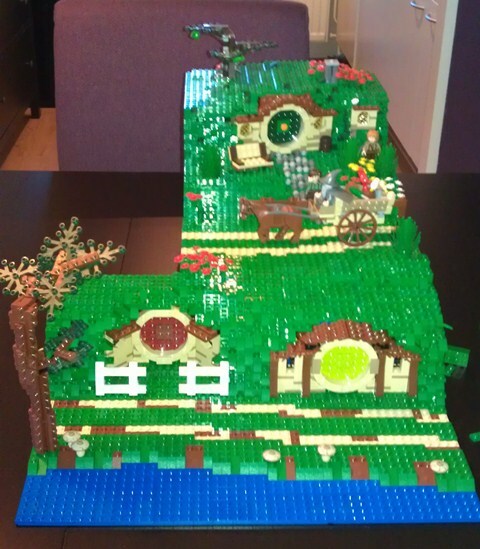 I finished the top left part of Bag End. It is a side entrance where all the supplies for Bag End are brought in. Ooh awesome why have I not seen this before.... Great technique, the flow from the top of the first row of buildings to the second is just done beautifully. Love the latest version of it its Stunning!